Enjoy the great weather forecast for Tuesday! 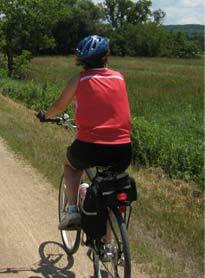 Join us for a ride from Oberweis to Busse Woods and back. 64 Degrees and the sun sets at 7:30 giving us enough time for the 20 mile ride before we loose light. Meet at the normal place near Oberweis in the Schaumburg Town Square center at Roselle and Schaumburg roads. Saddle up at 5:15 for a 5:30 departure! Easy riding, no one left behind! Let me know if you are coming so we don’t leave without you!